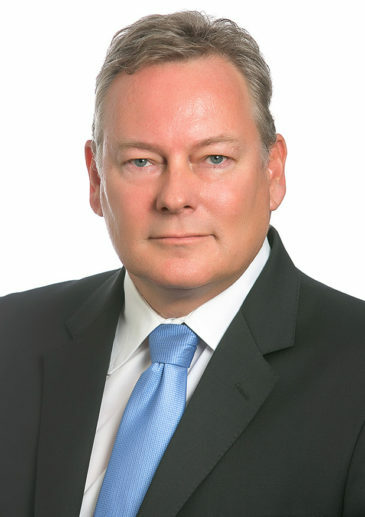 Mark van Velden is a partner in our Durban office Shipping Practice. He has extensive experience in shipping and transport law. In addition to being an experienced litigator, representing ship owners, charterers, P&I clubs and liability underwriters, freight forwarders and stevedores, he advises on charter party clauses, bills of lading, insurance wording and standard terms and conditions for a wide range of logistics operators. Mark is a member of the Maritime Law Association, an affiliate member of the Institute of Chartered Shipbrokers and a supporting member of the London Maritime Arbitrators Association. He has BA and LLB degrees from the University of KwaZulu-Natal. Arresting or attaching vessels, bunkers or other assets for the purposes of obtaining security for claims in London arbitration or other proceedings, including more recently the MT “Spike” and the tugs “Northwind” and “Southwind”. Negotiating security for owners or charterers in the event of an arrest of vessels or bunkers and procuring their prompt release from arrest, including most recently for owners of the MV “Hyderabad”. Advising on the prospects of challenging the validity of arrests, particularly of “associated” vessels and on the merits of potential wrongful arrest actions. Applying for the judicial sale of arrested vessels on behalf of mortgagee banks and other creditors. Preparing and lodging creditors’ claims against the Funds created by the judicial sales, including most recently in relation to the tugs “Northwind” and “Southwind”. Applications for orders, and negotiating agreed protocols, for access to vessels and documentation for the purposes of evidence gathering. Interviewing officers, crew and other personnel and preparing statements. Casualty facilitation in South and Southern Africa, including most recently representing one of the slot charterers (and their Club) of the container ship MV “APL Austria” which suffered a major explosion and fire on board off Port Elizabeth, and attending urgently on board a tanker at Dar es Salaam to protect the interests of owners and their Club in relation to a potential pollution incident at the SBM. Investigating and defending cargo claims for owners and the Clubs, most recently in a string of claims and potential claims in relation to maize cargoes carried into Namibia, South Africa, and Mozambique from Mexico on the vessels “Coral Gem”, “Santa Isabella” and “Challenger”. Chambers and Partners, 2018 ranked Mark in Band 3 for Shipping. Mark was recognised by Who’s Who Legal 2018 for Shipping. Mark is ranked in Legal 500 and Who’s Who Legal.